Collins internet-linked dictionary of mathematics BOROWSKI E.J., BORWEIN J.M. Authors: BOROWSKI E.J., BORWEIN J.M. Add to cart the livre of BOROWSKI E.J., BORWEIN J.M. 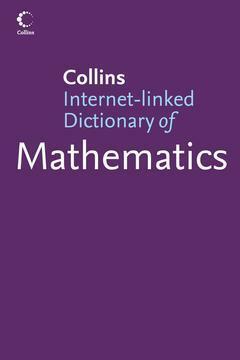 A fully revised and expanded edition of the authoritative 'Collins Dictionary of Mathematics'.